As a musician, Rob Zombie has carved out a genre all his own, and every new album he releases is, for lack of a better word, an incredibly “safe” buy for me. His back catalog doesn’t really have any low spots as far as I’m concerned, and when he made the transition into filmmaking part of me was hoping for more of the same. And really, things got off to a pretty good start. House of 1000 Corpses certainly had its issues but at the end of the day it feels like it’s just for me. It’s a long-form music video with some pretty great performances out of Bill Moseley and Sid Haig, tons of memorable dialogue, and a few truly impressive scenes (the backyard execution, for one). And it spawned the vastly improved sequel The Devil’s Rejects, which so far is one of my favorite horror movies of the 21st century. Then he started remaking Halloween films and I stopped caring. The original Halloween was a perfect one-and-done horror story; it didn’t need its sequels, much less a remake. Much less a sequel to the remake. 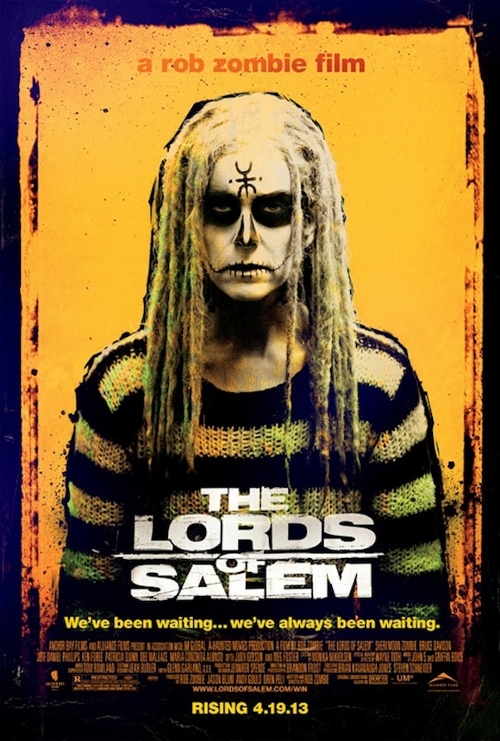 So when Zombie started leaking casting info and images from his newest film, The Lords of Salem, I really wanted to be on board. I didn’t get the same strong sense of concept that I did with his first two efforts, but it wasn’t Halloween 3 and it wasn’t aping any of the well-worn trends that have caused me to take a step back from the horror genre as of late, so despite any minor reservations it really felt like something to get excited about. 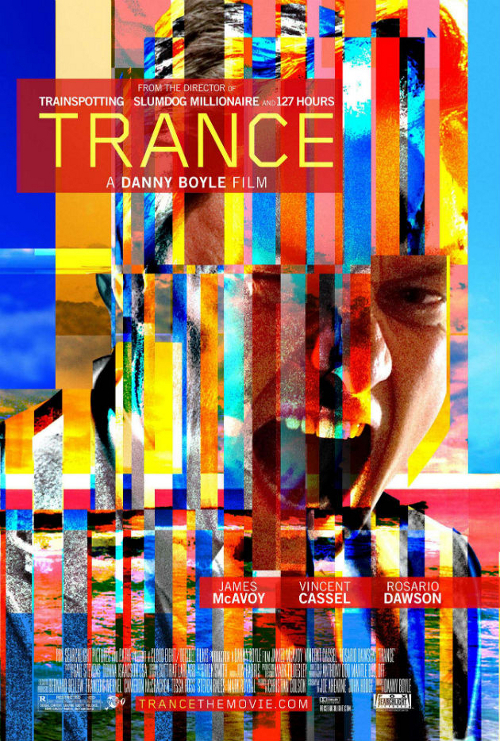 Trance: This Year’s Best Unpromoted Film? Danny Boyle is a squirrelly director to try to pin down. In 1996 Trainspotting made me fear hard drugs and heroin in particular more deeply than anyone has ever feared anything, in the history of fear. 28 Days Later came along and was a brilliant “zombie” movie while simultaneously probably wrecking the zombie movie subgenre for years to come. Then, after a handful of great films across a wide variety of genres, the Academy finally backs a truck full of Oscars up to his front door for Slumdog Millionaire, and I just…I might be in the minority here, but I hated that movie. I made it through, but only via sheer force of will. 127 Hours was an incredible experience which threw me firmly back into Team Boyle, but it’s hard to deny that, compared to his other work, it felt like the product of someone who had tasted gold and wanted more. I started to long for the old days, a feeling that finally seeing Shallow Grave solidified. What I’m trying to say is that as a subscriber to the auteur director theory, Danny Boyle renders my belief structure difficult and uncertain at times. He maintains a strong visual style which I adore, but his project choices have such an element of randomness to them that I’m never quite sure how excited I should be about his next release. Anyone else occupying the same fence as I do would be well served to go out and grab a ticket to Boyle’s newest film, Trance. When I first heard the news of Roger Ebert’s death, 12 hours ago as of the time I’m starting this article, my immediate reaction was that this was going to be the hardest article I ever had to write. Then after reading a handful of pretty eloquent tributes/obituaries from around the Internet, I decided I wasn’t going to write one myself. I felt like everything that could be said had been said, much of it by better writers than myself. I thought I’d save myself the experience of being at the computer at 4am, halfway through a bottle of wine and trying to maintain enough composure to write about something that affected me deeply enough that I feel like I’m still trying to process it. Then I sat down and wrote a few pages of a screenplay for a homework assignment that about five other people in my class will do and even fewer will actually care about. Later on I watched a pretty great documentary called These Amazing Shadows, about the process of preserving and inducting movies into the National Film Registry. As I watched the credits roll on that, I realized I wasn’t escaping this article. 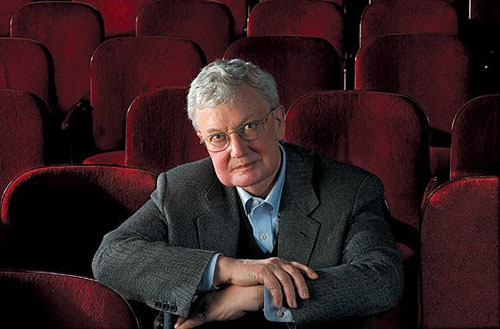 There are few things in this life that make me as happy as not only watching movies, but also discussing them with everyone I possibly can, and to that end I owe a great deal to Mr. Ebert. I’ll sadly never get to tell him that myself, but at the very least I can tell a bunch of other people about it.